The iconic Mercedes-Benz AMG® SUV lineup was created to provide drivers with the best of performance from a luxury vehicle. No matter which Mercedes-Benz SUV option you choose, you can experience classic AMG® performance that will take your Providence commute to the next level. 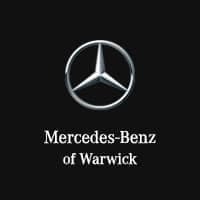 Explore our AMG® inventory online before you visit Mercedes-Benz of Warwick to take your favorite model for a test drive! Once you’ve found the right SUV for your Cranston lifestyle, visit Mercedes-Benz of Warwick to truly experience AMG® performance! We look forward to helping you find the right luxury vehicle for your commute.